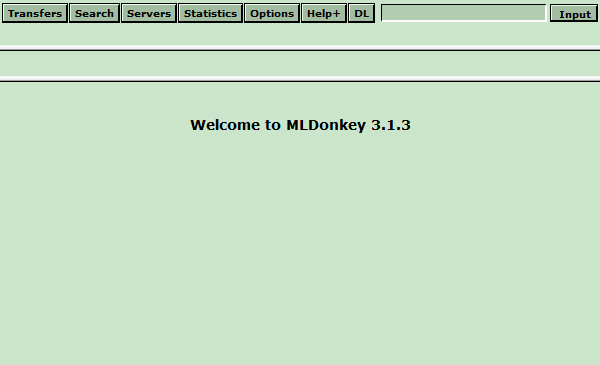 MLDonkey - the Open Source eDonkey client. Default username and password is admin/admin. View logfile for ports used by donkey, bt, etc. * Default username and password is admin/admin. * Working folder is MLDonkey shared folder. * Creates a MLDonkey firewall rule to allow ports used by interface. * Adds 192.168.x.x to allowed_ips to allow browser access on port 4080 from LAN. What can I do if I want to compile it again myself? Thanks. I have never compiled on the NAS before, so am not currently setup to do so. The current package contains pre-compiled static i386 binaries from the mldonkey site. If anyone can provide similar binaries for the latest version then please contact me. I just had a shot at compiling myself, but I failed, do you no longer have a suitable NAS to compile on? I'd like to help if I can. Can we expect that an update is likely at somepoint in the future? There seems to be a compatibility issue between the packaged mlnet binary and libraries available in DSM5. The solution may be to re-compile the binary but I am not currently able to do this, could be broken for awhile. Thanks for the reports, I will investigate and update as required. I would love to also have a working version of this. Same problem here! Can anyone to upgrade the package? WHEN NAS UPDATED TO DSM5.0, MLDONKEY CAN NOT WORK. CAN ANYONE GIVE A SOLUTION? THANK YOU!